Staying with a local family is both exciting and rewarding. Host families provide the best insight into how an American family leads their life. This interaction with a family helps students communicate better, faster, and allows them to pick up words and nuances used in daily situations. There is no typical homestay in Miami. Some homes are single standing homes, apartments or multifamily homes. Students are placed in a single or twin room. Each room is furnished with a bed, desk, closet, and waste paper basket. It is important that rooms and living areas are kept neat and tidy. Students also have access to a shared bathroom. Bed linen and towels are provided by the host family. In general, students can use the laundry facilities, though number of washes per week remains at the discretion of the family. Internet access is available and telephone access is restricted to incoming calls only. Miami is a diverse, multi-cultural city with a rich history and residents from all over the US and the rest of the world. Our host families reflect this diversity and include single people, couples, parents with children, and single-parent families. Host families are located at an estimated travel time of 45 minutes to 1 hour to the centre, however we cannot guarantee placement in South Beach. A variety of food is provided and host families make an effort to adjust the type of food offered to the tastes of the students and take religious beliefs into consideration when preparing meals. Vegetarians or people with food allergies should specify upon booking. Breakfast varies from one family to another. Host families are encouraged to offer students whatever is typical for their home. They may prepare a hearty breakfast with eggs, toast, bacon, fruit, coffee or tea, but most will offer something simple like toast or cereal and coffee. Other families prefer a “serve yourself” policy where the student will help themselves to whatever they might want that morning. Students who book half board will eat whatever the family eats. Dinners are usually quite early in the USA but families will inform the student of the time when they eat. Not all families will sit down and have dinner together every night. Some host families will allow students to use their kitchens to cook on their own, but this varies from family to family. Students should always ask before using the kitchen and should clean up after themselves. 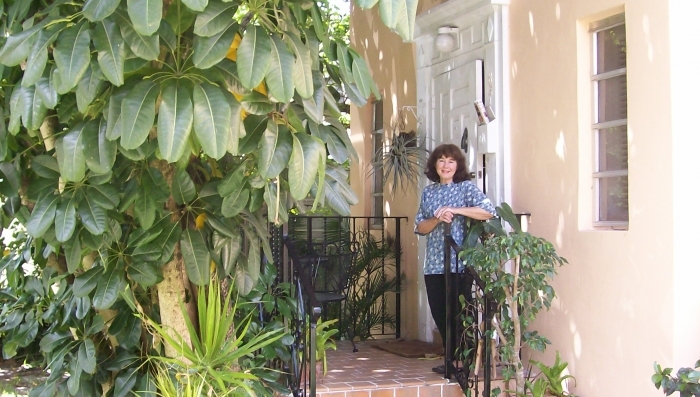 Our homestays are typically 45 minutes to 1 hour from the EC Miami centre. Most students utilize public transportation like the Miami Metrobus to get to school. It is also possible to purchase prepaid passes which act as debit cards and can be reloaded in local convenient stores or on-line. If you have booked an airport transfer, you will be met at Miami International Airport. All students will be given a key to their home. Students should ask their family how to use items in the home, such as window shades, bathroom fixtures, kitchen appliances (microwave, dishwasher) and other equipment.